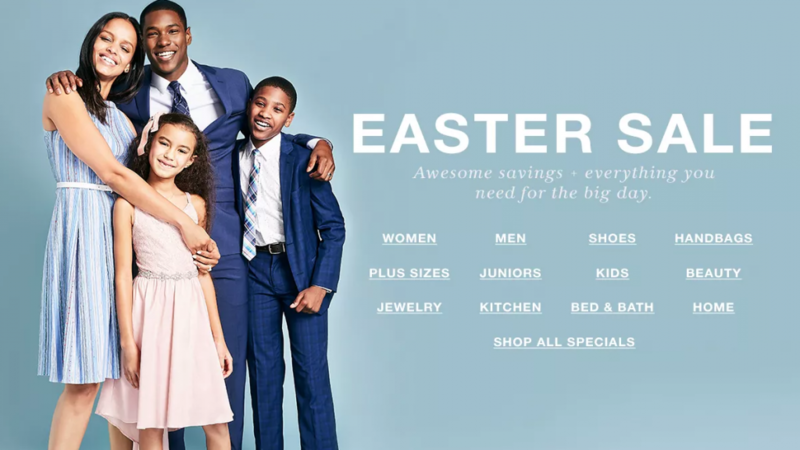 It’s an Easter Clearance Sale EGGstravaganza going on at Macys.com starting today! Looking to transform your home for Easter? It’s even easier with an extra 20% off. Eyeing some special accessories for your family’s Easter outfits? Grab them now for an extra 20% off. You can literally find thousands of items on clearance at Macys.com right now that are eligible for an extra 20% off their already low closeout prices. But you can’t wait until Easter is here to put them in your basket (aka shopping cart) because these prices will be hopping away at 11:59 pm on Sunday, April 22nd. Plus, in order to find the best selections and your perfect fit, you’re going to want to shop today. Even if you can’t find a clearance item that strikes your fancy, have no fear: you can take 20% off (in most departments) sitewide with the code SALE.